These challenges, however, seem to rarely be discussed in IT department circles – at least with C-suite execs who likely want to talk about the new-fangled technology over phone systems. Even the average IT pro has challenges learning all the ins and outs of setting up and servicing VoIP systems. VoIP is somewhat of a “left field” factor in the IT equation for many IT professionals, as getting a handle on all the technical jargon and network integration schematics is a handful – especially when introducing VoIP communications systems into an existing data center and network infrastructure. So, how can IT practitioners learn to become fluent in this “left field” skill set? Instead of running through a phone company switching tree from station to station, like a traditional phone system, IP-based communication technology has to run through several access points first, such as different servers, between communication points. This allows hackers to be able to listen in and eavesdrop on important and confidential business conversations, which, needless to say, could open up VoIP users to a possible data breach situation. Utilizing the proper data encryption and security tools designed to counteract unwanted listeners is a good first step to improving this glaring security vulnerability. Voice emanations must be translated into data packets prior to being sent, which can cause “packet-loss,” or a degradation in the packets of bundled data being sent through the Internet wires. It’s the same technology and principle with emails, only that packet-loss with emails merely causes a small delay in receiving the email. In VoIP set-ups it causes choppy, low-quality phone calls. Many companies are frustrated on a daily basis with this fact, but the simple solution is in utilizing an IP provider that can give priority to packets through special parameters or permissions in the VoIP quality of service mechanism. Having IT personnel on hand to monitor and analyze IP-based traffic and control this tendency (preferably in-house as a managed services provider) than packet-loss can quickly become a non-issue. Finding an IT solutions company with pros who are qualified as a “unified communications provider” will go a long way to providing you and your company with the reliability assurance that the aforementioned challenges are being adequately met and obviated. Service providers, or MSPs, can be widely varied in their technical expertise, so if your company data network is reliant on VoIP, your best bet is to seek out IT service pros who can give you that assurance and guarantee as unified communications providers. They will typically imply rather sophisticated remote bandwidth management tools and perform the needed diagnostic and curative steps as part of their due diligence. You will be able to tell from the get-go if the IT firm you are enquiring with has the goods or not. Their answer to your VoIP problems won’t beat around the bush. They will be as enthusiastic in their communications to you as the CIO or department head as they are in neutralizing vulnerabilities and quality snags. 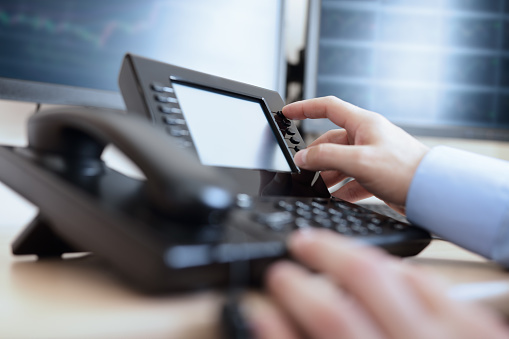 Stay connected with top-tier IT networking infrastructure including VoIP service. Haxxess Enterprise Corporation is the leader in providing managed IT services in Sudbury, North Bay and Northern Ontario. Contact our expert IT staff at (705) 222. -TECH or send us an email at info@haxxess.com, and we will be happy to answer any and all your questions.